Looking for some Printable Bridal Shower Invitations?These free printable invites feature pretty flower designs. Planning a bridal shower can be very stressful for today's hostess. You are probably planning it all in the midst of an already busy life. 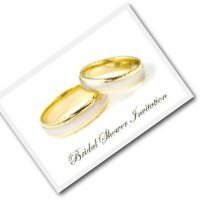 These free foldable bridal shower invitations will help to make life easy. Just choose your favorite and print it out! These pretty invites fold to make a card with lots of space to write your bridal shower details. Don't forget to include details about the registry and the theme (if you have one). 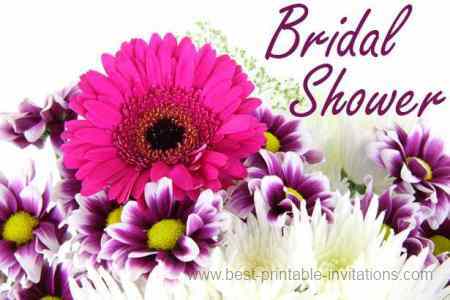 Bridal showers are normally around held about eight weeks before the wedding. 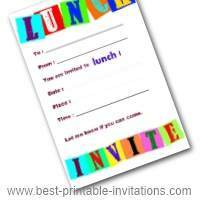 Send your invites two to three weeks before the planned date. Gorgeous in purple! This beautiful flower design makes a striking invite. Printable Bridal Shower Invite - Pink Flower. White roses! The classic wedding flower. This design features several white roses in a stunning invitation. 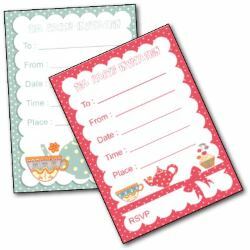 Foral invites are a great way to invite your guests - they are pretty and romantic. But why not take the idea one step further. 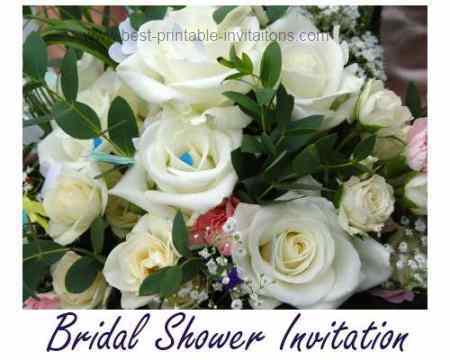 ElizabethAnnDesigns had a wonderful idea for her shower - to invite a florist to come teach flower arranging to her guests. Everyone gets to go home with their arrangement as an unusual and pretty party favor. I think getting a tutor is a great idea to break the ice at your shower. How about a plate painting party, or scrapbooking session? Or buy some cake decorating supplies and get everyone decorating cupcakes!